AEDMAP extends its expertise and solutions in Europe, Canada and the Middle East. AEDMAP has developed Staying Alive, a free mobile application that has won awards and is widely acclaimed by the public. 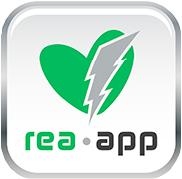 The application identifies automatic defibrillators around the world and helps to locate the nearest defibrillator in case of an emergency. Versions of the application have been published in Switzerland, Canada and Belgium. These applications are developed in partnership with local NGOs and are all based on Staying Alive’s technology. The first partnership was signed in Switzerland with the Central 144 in Lausanne. Then the service was launched in the counties of Vaud and Neuchâtel at the beginning of 2017 through the Responders application. Then, AEDMAP and St John Ambulance in Canada announced their partnership to develop a Canadian version of Staying Alive, Save a Life. 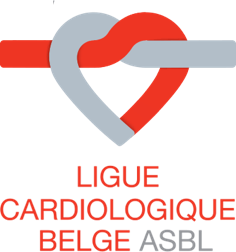 AEDMAP is also partnering with the Belgian Cardiological League and developed the ReaApp application. AEDMAP’s monitoring is implemented in the Middle East countries, especially in the United Arab Emirates and the Sultanate of Oman. With more than 10 million visitors each year, security is a priority for Oman Airports. AEDMAP has deployed its connected monitoring solution for defibrillators in the airport in order to provide 24/7 monitoring. DHCC launched a public access defibrillation program in partnership with AEDMAP. The defibrillators are all mapped and equipped with AEDMAP’s 24/7 remote monitoring solution. In the event of defibrillator use or malfunction safety team are immediately notified. The Citizen Responder allows trained volunteers to be alerted by emergency services in case of nearby cardiac arrest in order to help the victim, until help arrives. The Citizen Responder is currently being deployed in Dubai, and in the region of Istria, in Croatia.